BERNAVÍ eng: CA'VERNET 2011 ... What a Surprise! CA'VERNET 2011 ... What a Surprise! 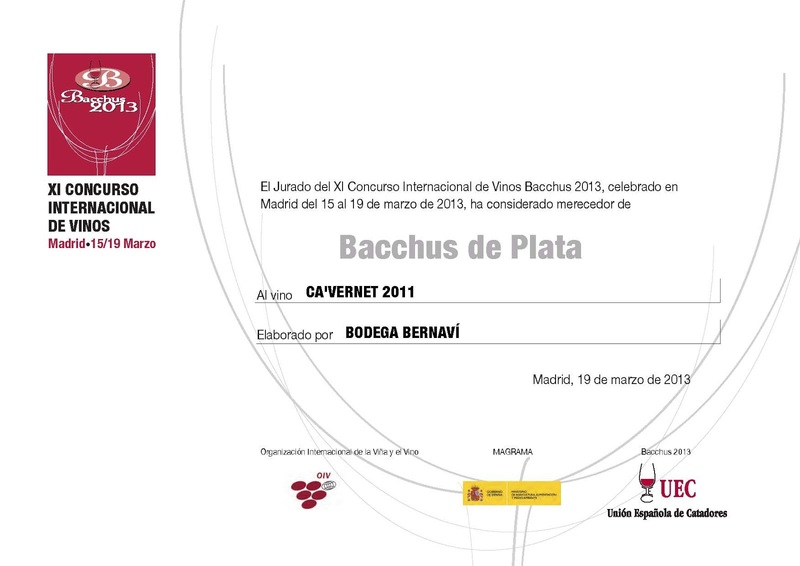 We have the official results and we are very proud of our CA'VERNET 2011: another silver medal and this time at the competition BACCHUS 2013. The "XI Concurso Internacional de Vinos" of the "Unión de Catadores", recognized by the OIV and VINOFED, after publishing awards in its web site (you have the link below) where we figure on page 12, has just sent us the certificate ... and here you have it! To be the first vintage "interpreting terroir" at BERNAVÍ we are satisfied!